Church: This September we celebrated our church´s 13th anniversary. We thank the Lord for the ministry He has entrusted to us. We had over 200 in attendance. We were excited to have Pastor David Anaya visit us and preach for us for our celebration. We had visitors, salvation decisions and 7 baptisms. We have been having new visitors and families coming to church. Please pray for spiritual growth and pray for us as we are ministering to them. Last year, a lady, Priscilla and her 4 kids were attending our church. I witnessed to her husband but he rejected Christ at that time. This year, he became very ill and he sent his wife to get a hold of me. I went to his house, at the time of my visit he was bed-ridden and had been on morphine. They took him off of the morphine for my visit because he wanted to have clarity of mind. I witnessed to him again, this time he acknowledged that he waited too long, and he put his faith and trust in Jesus. We continued visiting him, helping him with certain expenses but most importantly praying with him. He passed away late September. Please continue to pray for his 4 kids ranging from 7 yrs-15 yrs and his wife. Three of the kids recently got saved and baptized. 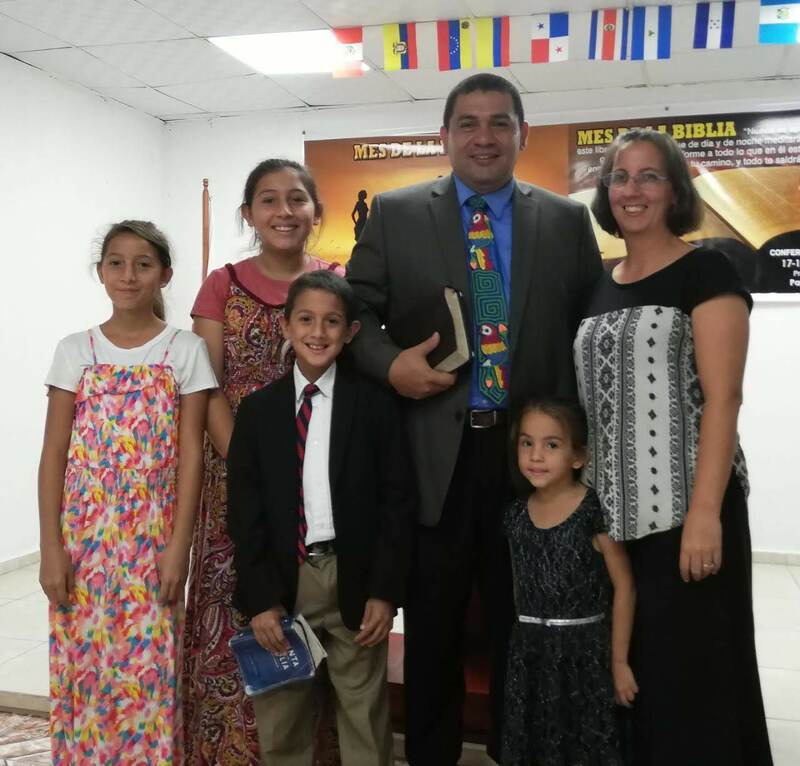 Bible Institute: This year I (Rafael) am teaching at two Bible Institutes in the area, and I also have been teaching a couple classes via Skype for one of our missionaries in Colombia. Teaching the next generation! Tracy was invited to speak at a ladies retreat about 5 hours away. Our two eldest daughters joined her; what a great time they had. Please pray for another vehicle, 12-15 passenger van that we can add to our ministry to help us pick up people for church. Thank you very much for your faithful prayers and support. We covet your prayers!